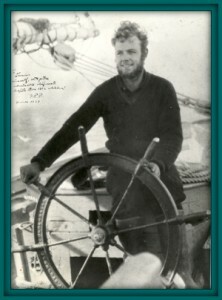 Join Matthew Stackpole for a talk about Schooner Ernestina-Morrissey, Official Vessel of Massachusettts, her amazing history and current rebirth. Junius Bird was scientist on numerous voyages. He is shown here fabricating a net for collecting specimens.